Warning 1: due to severe clogging of this email post box, I can no longer guarantee that received messages will be processed and/or answered. Warning 2: Since notions of privacy have	been completely abandoned by Facebook, I do not accept friends there. Requests to be connected in other social networks such as LinkedIn are only occasionally considered if they are written with some personal note, certainly not when they seem to come from robots. A new Honorary Doctorate: Universidad de Chile, handed to me December 14, 2017 in a special meeting at the Facultad de Ciencias, Santiago, with a "Ceremony Honoris Causa Medal". 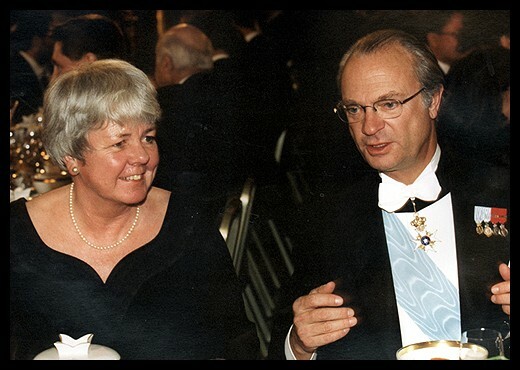 The Niels Bohr Institute Medal of Honour, Copenhagen, 30 November 2016. Appointed as Adjunct Professor in Physics, at Faculty of Mathematics and Natural Sciences, Bandung, Indonesia, from November 2, 2016 to December 31, 2020. Laureated by Carlo and Karin Giersch through the Stiftung Giersch as: FIAS (Frankfurt Institute for Advanced Studies) Senior Fellow Laureatus, Frankfurt, September 28, 2016. Several of my pages have been "translated" into languages I do not speak myself. I doscovered that these often turn out to be unreadable robotic translations; they just wanted me to give them a link from here, to make themselves pop up high in Google. I erased all such links now. If anyone has a genuie translation and wants me to add a link, please provide support from a respectable physicist. When I was a student, I was often inspired by marvellous scientific discoveries, and then I asked the question whether I were in any position to reproduce such discoveries. As a kid, I tried to measure the speed of light, and Newton's constant of gravity. Both attempts were hopeless failures. But the phenomenon of phase contrast, yes, that I could reproduce that in my own microscope. Here is the explanation. In vroeger tijden was het verplicht minimaal 10 "stellingen" toe te voegen in een dissertatie. De stellingen moesten wetenschappelijke onderwerpen betreffen maar niet direct op het proefschrift betrekking hebben. Hiermee kon de promovendus aantonen dat zijn wetenschappelijke belangstelling verder reikt dan alleen het onderwerp van het proefschrift (daar is nu natuurlijk geen tijd meer voor), maar stelden opponenten die niet de gelegenheid hadden gehad het uiterst technische geweld van het proefschrift in zich op te nemen, ook in staat om interessante vragen te stellen. De Nobelprijs chemie van 2014 ging naar E. Betzig, S.W. Hell en W.E. Moerner voor de ontwikkeling van super-resolutie fluorescentie microscopie. We lezen in de officiële toelichting van de Kungl. Vetenskapsakademien dat de gebruikelijke formule voor het oplossend vermogen van een microscoop luidt: Δ = λ / 2n sin α ; in 1992 werd door Bobroff, en in 2002 door Webb, benadrukt dat die formule kan worden verbeterd: Δmin = λ / (2n sin α√N ), waar N het aantal gebruikte fotonen is. In de jaren 2002 - 2006 werd de hoge resolutie fluorescentiemicroscopie ontwikkeld waar deze formule op van toepassing is. waarin N het aantal fotonen is dat nodig is voor de waarneming. In de microscopie kan men in principe hiervan gebruik maken." Het spreekt vanzelf dat ik geen idee had hoe deze vaststelling in de praktijk zou kunnen worden toegepast; dit is wat de Nobel laureaten van 2014 hebben ontdekt. - Birth Grandson Benjamin Leendert van Deutekom, 3855g, 51 cm. October 7 2015. 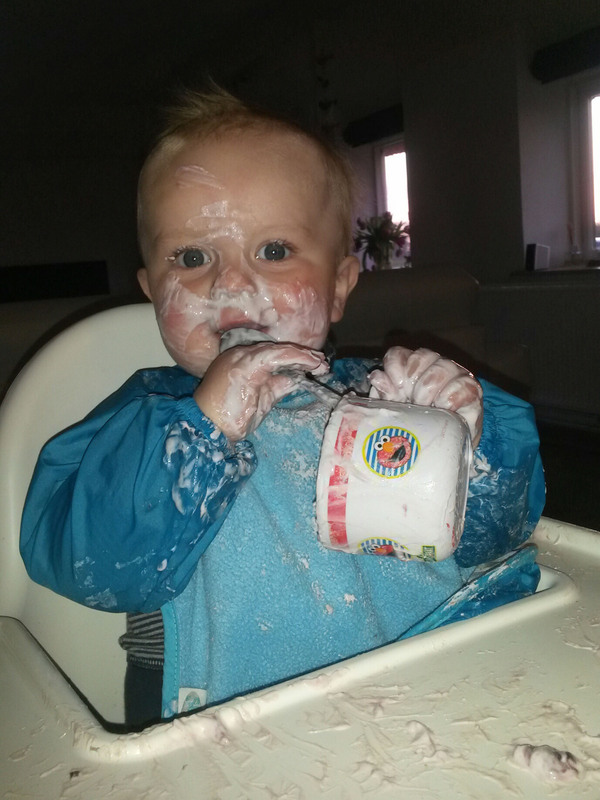 - Lucas Ellerbroek, "Planetenjagers"	(Prometheus / Bert Bakker) is aan te raden. - Opvattingen over: godsdienstextremisme als besmettelijke ziekte. 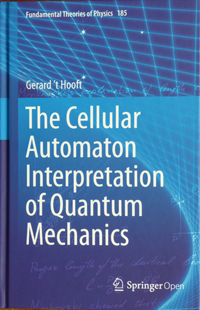 - Long review paper on the "Cellular Automaton Interpretation of Quantum Mechanics, A View on the Quantum Nature of our Universe, Compulsory or Impossible? ", where all arguments concerning entanglement, superdeterminism and conspiracy are displayed at length, besides numerous models. See http://arxiv.org/abs/1405.1548. 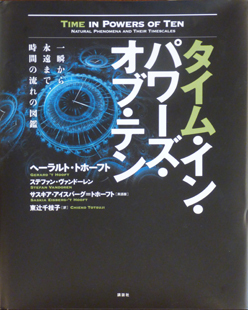 Page " How to become a GOOD theoretical physicist" has been replaced. The website is back in a good shape and is being maintained by Navaneeth Gaddam. 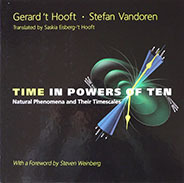 Tijd in machten van Tien , door Gerard ’t Hooft en Stefan Vandoren, Uitgave Natuurwetenschap & Techniek, onderdeel van Uitgeverij Veen Magazines B.V.
Time in Powers of Ten , by G. t Hooft and Stefan Vandoren, translated by Saskia ’t Hooft - Eisberg. World Scientific. 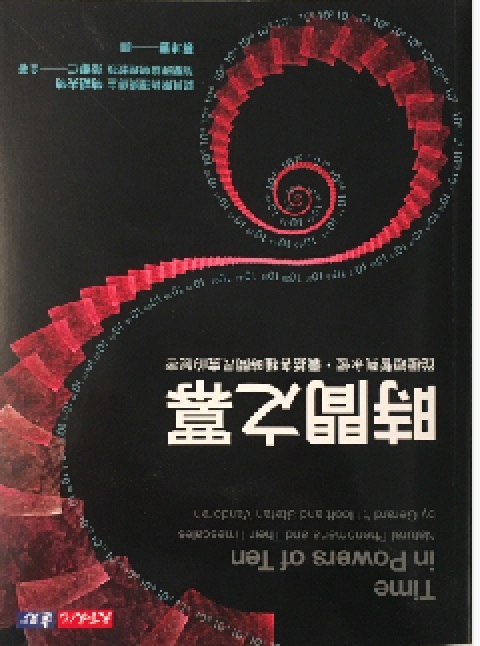 The idea is simple: Physicists and astrophysicists have produced various popularized descriptions of the enormously varying length scales in the Universe, in books and films. The Universe is some 50 billion light years across, that's nearly 1029 cm. The smallest conceivable objects are superstrings, somewhere around 10-32 cm. At every scale in powers of ten, our world looks different and very special. So now, we do the same thing with time. In fact, the variations in the time scales are even bigger. The time scale for super strings is 10-43 seconds, and age of the Universe is less than 1018 seconds, but there are phenomena that outlast our Universe by gigantic factors. The lifetime of the most fundamental particle in our world, the proton, is expected to be something around 1041 seconds, and large black holes can last much longer than that. At nearly every time scale, things happen in our world, and we describe them, starting with just one second, then 10 seconds, 100 seconds and so on, until in the middle of the book, where we switch to the fastest time scales conceivable, until at the end we return to one second. Taming the forces between Quarks and gluons - Calorons Out of The Box, Scientific Papers by Pierre van Baal, eds G. 't Hooft and C.P. Korthals Altes, Wold Scientific. 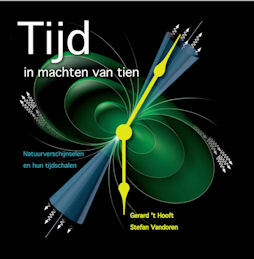 Book presented at the Lorentz Institute, Leiden June 21, 2013. 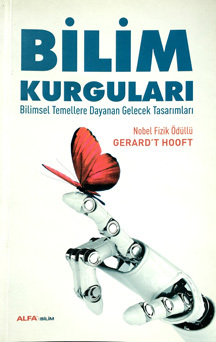 The English translation of "Planetenbiljart" has appeared. English title: "Playing with Planets" (World Scientific, Singapore). The original text has been improved in many ways. Translation by my daughter Saskia. 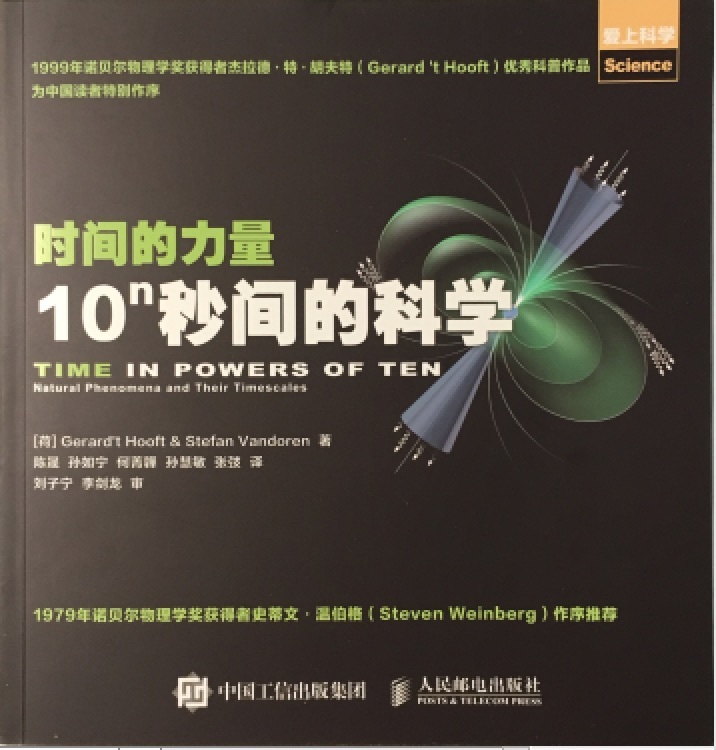 The Chinese version of the book was removed from this page, because of serious doubts on its quality. Pictures, art work and curiosa: For some new fractals obtained using PostScript and PovRay, see Computer art gallery. See Computer art . Please first check your screen. A (very tiny) stamp collection. On the Phase Contrast Microscope. Gravitating misconceptions: response on claims by a group of self proclaimed scientists concerning the validity of the theory of General Relativity. Voordracht over Professor Sickbock t.g.v. de Marten Toonder tentoonstelling in het Teylers Museum te Haarlem,1 juni 1996. 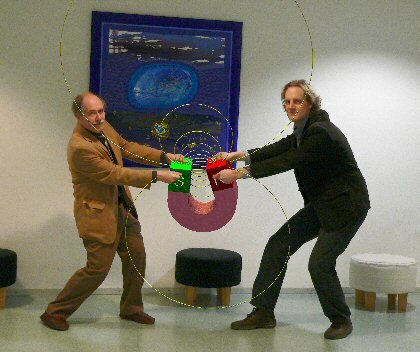 2) In the year 2000, at Copenhagen, many physicists were bold and optimistic about supersymmetry. Here is a wager, duly recorded. The date of "discovery of supersymmetry" was set at June 21, 2010. I would be ready to give them another six or so years, but then I will politely approach my susy friends to inquire about the bottle of cognac. The issue was settled August 2016 in Copenhagen. Unfortunately I could not be present to "celebrate" my victory. It's actually disappointing that no trace of supersymmetry has yet been detected. 4)	Reaction upon a letter that was sent to The New Scientist by a group of scientists who urge to establish new categories of Nobel Prizes. Later, I learned that the Nobel Committee itself reacted very much in the same spirit. More papers that were never published can be obtained here. The inconveniences of life, such as modern software, see my Fulmination Pages (mopperpagina's): food, software, powerpoint, printers. Complaints about MS Word®: http://www.gnu.org/philosophy/sylvester-response.html . Add to this the serious troubles with its so-called "smart quote" feature, which inverts quotation marks incorrectly. In particular, it deliberately wrecks the spelling of the family name t Hooft, where it replaces the apostrophe by a beginning quotation mark. June 5, 2012: Honorary Doctorate from the National Polytechnical University of Odessa, Ukraine. 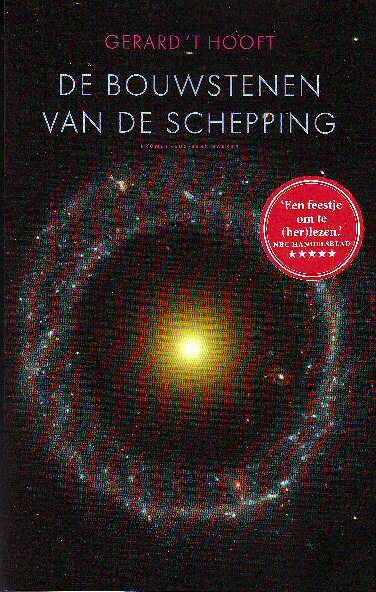 Boek van Lucas Ellerbroek, "Planetenjagers" (Prometheus . Bert Bakker) is aan te raden. Exploration of the Moon and Mars. See book: "Playing with Planets". A human settlement on Mars was the aspiration of Mars One. For several years I supported the organisation and I acted as its ambassador. However, it has become abundantly clear that a small organisation such as Mars One cannot obtain the resources needed for something as gigantic as manned journeys to Mars. International collaboration, extensive scientific and technological research projects, enormous expenditures going far beyond the few billions of dollars that Mars One tried to assemble, and far more time for preparations will be needed. In the mean time, the Moon is waiting for us, establishing human presence there will be difficult enough, and experiences there will be valuable. Asteroid 9491 Thooft has its orbit between those of Mars and Jupiter. This asteroid was discovered March 25, 1971, by C.J. van Houten and I. van Houten-Groeneveld on Palomar Schmidt plates taken by T. Gehrels. They are also the discoverers, in 1977, of asteroid 11779 Zernike , named after my grand-uncle Frits Zernike. As illustrated by this photo, all cattle in the meadows of the Netherlands by law have to wear ear tags. My bicycle trip in the countryside inspired me to modify the bylaws of Constitution Law # 13 for 9491 Thooft-s Constitution. An article concerning freedom of religion was added. See also Robert J. Langs Origami science. Het Platform Bèta Techniek, met alle Bèta ambassadeurs. Meer weten over natuurkunde? Zie de site Kennislink. 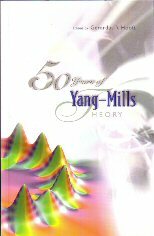 A web site for all ambitious starting theoretical physicists, featuring a complete list of all mandatory topics in mathematics and elementary as well as advanced theoretical physics. See: How to become a GOOD theoretical physicist. Don t wait until you enter the University. Start now. Comments are welcome. See also: How to become a BAD theoretical physicist, and The importance of recognising fringe science. Support the heroic Rationalist International, an activity based in India. Check the logic of your opponents arguments here! My autobiography was published by the Nobel Foundation. "for elucidating the quantum structure of electroweak interactions in physics." Can Theoretical Physics explain paranormal phenomena? You do not want to hear about it. So do NOT click on A sober explanation (in English) , or Poster op het Skepsis-congres (in het Nederlands) , 8 mei 1998. I thank My Slovak friends for notifying me that a translation of my comments on paranormal phenomena into Slovak was far below standards, so that a link to that page is now removed. 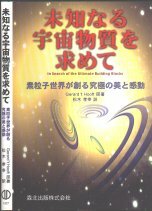 Some people apparently produce a computer translation just with the aim of collecting links. Beware. Special message to those who wish to mail to me their new revolutionary theories: Please first check your Baez index , and/or consult Warren Siegel . Another "experiment" was recently reported in which paranormal signals were claimed to be observed. Probably the flaw is an incorrect handling of the statistics, where unintentional bias was difficult to exclude. I am prepared to challenge these and any other serious investigators with a bet. See here the conditions. For an explanation of the apostrophe (  ), click here . Last revised: ≥ March 28, 2019.